ICICI Bank Managing Director and CEO Chanda Kochhar's gilt-edged image has taken a beating. Kochhar, once celebrated as a leading banker, might have to face some flustered board members this week, who could meet to discuss the way ahead for her. A report in The Economic Times said an informal meeting could be convened this week as staff morale and investor confidence has taken a beating following developments in the Videocon loan controversy. To be fair, Kochhar is still in the clear with regard to the controversy and the ICICI Board and its chairman MK Sharma have continued to repose faith in her (Sharma vouched for her twice in the past few weeks). Furthermore, there's also a demand for the filing of a First Information Report (FIR) against Chanda and her husband, Deepak, accusing them of having cheated the public of ‘thousands of crores’. That demand was made by Udit Raj, the BJP’s MP from the Delhi North West constituency, IANS reported. Meanwhile, the Central Bureau of Investigation (CBI) is carrying out a preliminary investigation into the Rs 3,250 crore ICICI loan to the Videocon Group, sanctioned in 2012. Reports allege that Videocon chairman Venugopal Dhoot invested Rs 64 crore in NuPower Renewables, a firm co-owned by Deepak, after Videocon secured a loan from a consortium of banks, including the Rs 3,250 crore from ICICI. ICICI, India's second-largest private lender, has denied any wrongdoing in the disbursal of the loan, saying it was part of a consortium of lenders that extended the facility to Videocon. 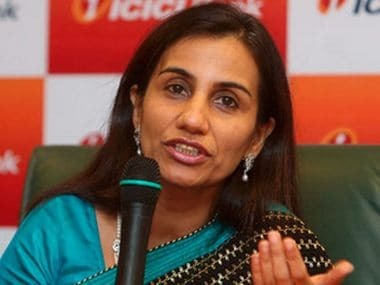 It has also backed Kochhar saying "there is no question of any quid pro quo/nepotism/conflict of interest as is being alleged in various rumours.” Though the ICICI Board has given Kochhar a clean chit, she, herself hasn’t said anything as yet about the controversy. Brand Kochhar, as we understand, is as strong as brand ICICI Bank, and is synonymous with the bank. But has brand Kochhar been dented by the allegations that are doing the rounds? A file photograph of ICICI Bank MD & CEO Chanda Kochhar. Brand and sector experts told Firstpost that though Kochhar has been given a clean chit by the ICICI Board, the waters have been muddied. Unfortunately people with long stints cast long shadows and any aspersions cast on their image triggers a ‘doubt’ about them in the public’s mind, said N Chandramouli, the CEO of brand insights firm TRA. “There is an unresolved uncertainty regarding her with respect to this controversy,” he said. Concurring with Chandramouli, Alpana Parida, the President of DY Works, a global brand strategy and design firm, said that given the huge bad loans mess in the banking sector in the country, anyone whose name is linked to a controversy will be viewed with suspicion. So, what is the way out? The ICICI board and its chairman have spoken. Should Kochhar step out and make a statement? Chandramouli and Parida feel she should. “Silence is not a good response. Instead, she could come out and say that she is open to scrutiny,” said Chandramouli. When Kochhar decided to pull out of the annual session of the FICCI Ladies Organisation (FLO) on 5 April, where she was the guest of honour and was to be felicitated by President Ram Nath Kovind, it sent out signals about her discomfort about being seen in public following allegations of wrongdoing in the loan extended to the Videocon Group. FLO is the women's business wing of industry lobby Federation of Indian Chambers of Commerce and Industry (FICCI). The issue here is that people and sentiments are fickle, pointed out Harish Bijoor, the CEO of Harish Bijoor Consults Inc. “The common man does not understand the nitty gritties of the case or the controversy.” When Kochhar’s name is mentioned in a controversy, by implication, the bank’s image too gets a hit, he said, adding that bank should come out with a white paper with all the details to clear it's name and Kochhar's as well. Another suggestion is for the bank to initiate an investigation that Kochhar must support. “There has to be a transparent investigation not only for the sake of the bank but for the immense reputation that Chanda Kochhar has in the sector and in the public’s mind,” said Professor Siddharth Singh, associate professor of marketing at the Indian School of Business (ISB), Hyderabad and Mohali. Kochhar probably hasn't issued a statement for two reasons: She could be guided by ICICI Bank’s point of view and speaking out would be a violation of rules. 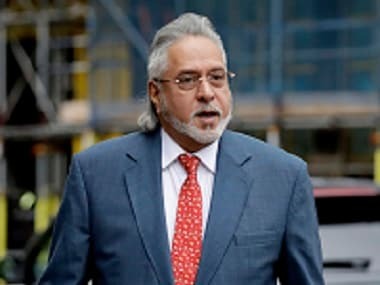 Secondly, issuing a statement may not change people's opinion about her," said J N Gupta, former executive director of market regulator SEBI and also the MD of the not-for-profit Stakeholders Empowerment Service. Currently, whatever's out with regard to Kochhar’s name being involved in the controversy amounts to allegations. In this light, any reputation lost is temporary and can be recouped when it becomes clear that Kochhar is in the clear, said Gupta, adding that the issue here is that people tend to jump at allegations like as if they are the ‘gospel truth’. N Vaghul, former chairman, ICICI Bank, has said he would rather wait for the CBI’s inquiry to be completed before making a judgement on whether there was a conflict of interest involved, according to a BloombergQuint report. But before the investigations comes to a close, the ICICI bank stock has seen its fortunes fluctuating. 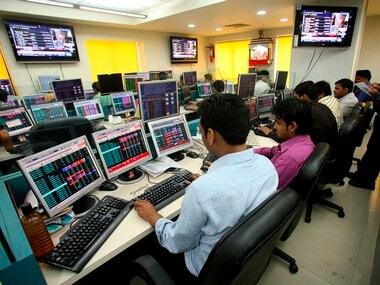 The ICICI Bank scrip plunged six percent to Rs 261.90 on 2 April on the BSE after news of the Videocon loan broke out. However, it has recovered in subsequent trading sessions was trading at Rs 280 on Monday. The stock's performance could also be attributed to perceptions, brokers said. 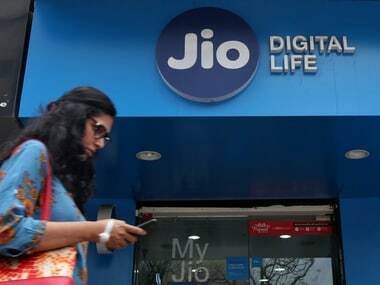 According to reports, the Serious Fraud Investigation Office (SFIO) has sought permission to look into the alleged conflict of interest and quid pro quo in the Videocon loan row, the PTI reported. The agency operates under the Ministry of Corporate Affairs and Corporate Affairs Secretary Injeti Srinivas has said that it is well within the SFIO's ambit to make a reference about a case, but that there is no such reference currently with the corporate affairs ministry on the issue. 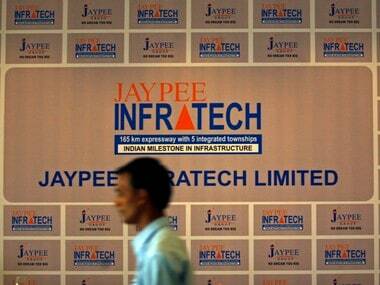 But Arvind Gupta, the whistleblower in this case, told Firstpost that while existing investors won’t shy away from their investments in the stock, new investors would double their due diligence. “There are two aspects to the issue. It maligns the Indian banking industry, be it a controversy over Rs 1 lakh loan or Rs 100 lakh or more. This is accentuated because of the non-performing assets of banks. The Videocon loan too has become an NPA. I feel the board could have gone the extra mile on this case,” Gupta said. For stakeholders, it's an entirely different story. Earlier, the nation targeted public sector banks (PSBs) following the Punjab National Bank's (PNB) Rs 14,000 crore Nirav Modi-Mehul Choksi scam, Bank of Baroda's Rs 3,695 crore Rotomac fraud and the Oriental Bank of Commerce Rs 110 crore Simbhaoli Sugars loan default. Now, post the Rs 3,250 crore Videocon loan row, ICICI Bank is in the eye of the storm, forcing people to question if it's safe for them to park their funds with private lenders. When the second-largest private bank's boss chooses to remain silent amid a controversy, the mystery, one would say, only deepens.